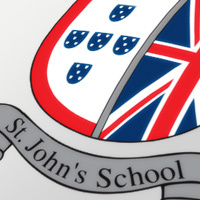 At St. John's School we have a rock climbing wall in our gymnasium. 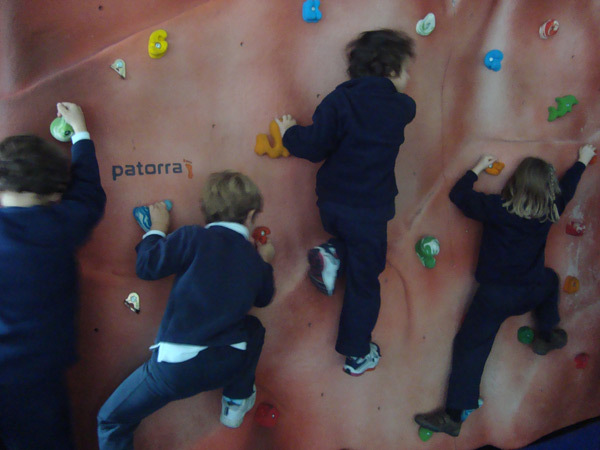 As from Nursery Class - preschool (3 years old) climbing classes are part of the physical education programme. 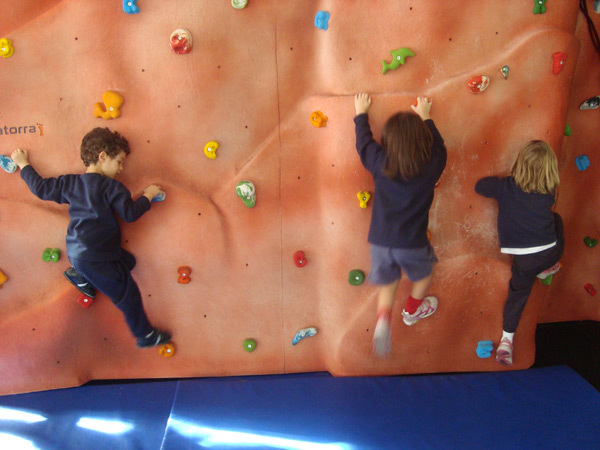 At this stage, children begin to use the climbing wall. They conduct horizontal crossings (20 centimeters from the ground), so that they can develop strength, balance and all further techniques for this sport. 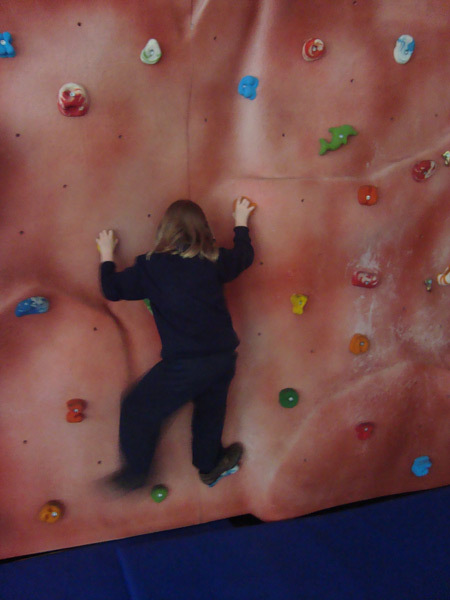 Children at this stage begin climbing to the top of the wall (maximum height 2m20cm). They learn to manipulate the climbing ropes and to secure their partner from the ground with an appropriate device (gri-gri). This is done safely, with a specific sports mat to protect against any possible falls. 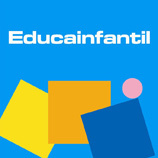 A Physical education teacher, specialized in climbing is present at all times. The students begin to climb lead. In this modality, the child secures the rope as he or she ascends, while the partner feeds rope from the ground. This activity is closely monitored by the Physical education teacher.